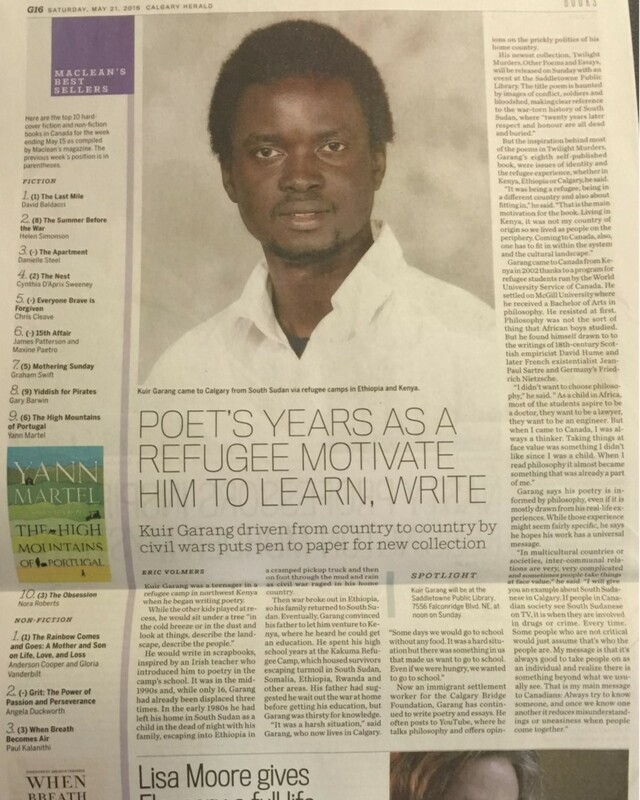 The Philosophical Refugee: It’s time for President Kiir to show leadership or Leave! It’s time for President Kiir to show leadership or Leave! A few days ago the president, without explanation, removed five state governors, some of whom being elected officials. It’s very clear the president has advisors who either have no idea what they are doing, or the president does things while occupying his own world. Everything coming out of this presidency makes no sense. It's dividing us and killing civilians by the day! Anytime government officials talk of the legitimacy of the president, they invoke the fact that ‘he’s a democratically elected president.’ However, these tired minds fail to show that the country is running not only on idiotic parameters but also on undemocratic fatalism: no reverse gear! We are just going and going and going in the wrong direction! This president is perhaps going to be the worst thing to happen to South Sudan if he doesn’t change to salva-ge what is left of his presidency. 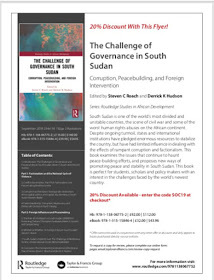 The constantly unexplained, unjustified, undemocratic and unjustifiable removal of elected governors not only reminds us of the oppression South Sudanese fought against for more than five decades; it also reminds us of the terrifying reality of the developing Musevenism in South Sudan. Museveni is an old man with no wisdom and human heart; a man who not only fears opposition but mobilizes state resources against people who’d actually make the democratic process in Uganda meaningful! And our dear president not only copied Beshir’s government structures and mannerism, he’s also sniffing the dirt under Museveni’s armpits. Very dirty! 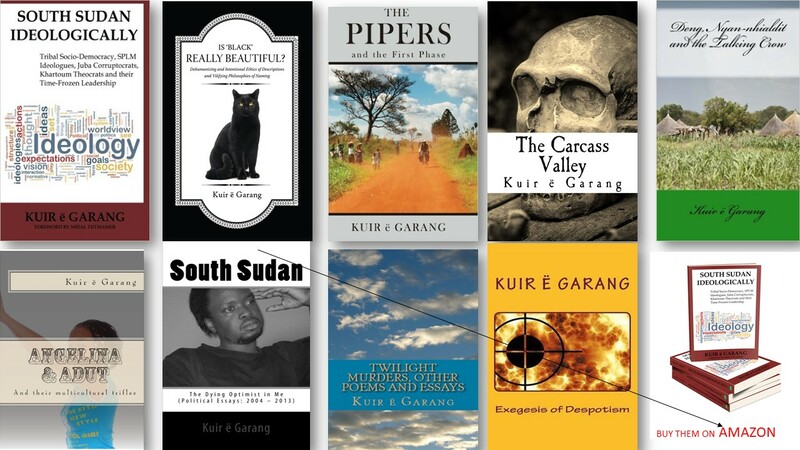 Copying Musevenism is the death of South Sudan as a nation with economic and political functionality. How can you call yourself a democratically elected president when you not only violate the constitution, but also act in an atavistic, undemocratic foolhardiness? Criticism of government is not to be against the government. It’s a way of letting the government know how it’s performing in order to improve its service provision. I’m in my 30s but I know this fact to be the reality of all successful governance in the world! How the hell can’t old men in their 50s, 60s and 70s know this? When will you ever grow up to steer this country ahead in a mature manner? When are you going to stop acting like small kids? Blaming Riek Machar for everything is childish! Without any doubt, Riek Machar is a man who’s ready to die for the sake of leadership. He's shown his own dictatorial mannerism: 1991-1994 and 2015! Dr. Lam Akol, Dr. Peter Adwuok Nyaba, Major General Peter Gatdet Yaka and Major General Gatkuoth Gatoath Oathnyany are living witnesses of Riek's one-man leadership. But Dr. Riek Machar is not the president of South Sudan. As the president, Mr. Kiir, you have to show leadership by taking responsibility of the peace process and successful implementation. How long will you depend on mindless, heartless opportunists in your government and foreigners such as the heartless Museveni to make decisions for you? Outsiders can now intimidate us because of your failed leadership! Where in the world is peace forced? I agree with you that signing a conditioned peace under duress is irresponsible and detrimental to the integrity and human valuation of the South Sudanese people; however, you’ve shown that you are anything but a leader. Your decisions are not independent and every decision you make has always proven disastrous to the country! Grow up (politically that is) or stop listening to opportunists! Or even better, pack up and go to Akon! And as you do that, tell Dr. Riek Machar too to go to Leer! It's time for you two to start farming not politiking! Nhial Bol Aken is still facing a devilish force more fatal and brutal than the one he faced in Khartoum! How can a son of the land feel worse and more oppressed in his motherland than in a foreign, oppressor’s land? Shame on you, Mr. President! What happened to the good old Commander Kiir Mayardit? When did you go from a humble, less ambitious High Commander to a ruthless, unprincipled, cold-blooded, irrational General and President? I couldn't figure that one out! We used to watch you humbly pass by us in your then slim body, small goatie and Castro-style cap as we played football next to your compound in Itang. You had no cowboy hat then! What happened to that man of the people? Unashamedly, you recently warned journalists that you’d test the killing on them because they are ‘against the country.’ “If anybody among journalists does not know that this country has killed people,” you said, then "we will demonstrate it one day, one time. ... Freedom of the press does not mean you work against the country." And indeed someone fulfilled your warning. Moi Peter Julius of citizen newspaper is shot dead! Bravo, Mr. President? Criticism is meant to improve the country not to destroy it. Anyone who points out the wrongs you do isn’t your enemy! Your enemy is the one who doesn’t tell you what’s wrong! You are a human being and you are bound to make mistakes! You also, like Museveni, don’t condone criticism, or someone who disagrees with your point of view. Are you the one who decides to arrest opposition figures and dissidents, or is there someone else who tells you that arresting the likes of Dr. Lam Akol of SPLM-DC and Governor Joseph Bakosoro is a good idea? How democratic is preventing Lam Akol and Joseph Bakosoro from leaving the country? What democratic principle says that free citizens have to be prevented from leaving? Have you made South Sudan a giant prison? Arresting opposition leaders, like Dr. Lam, is a work of wicked, frightened small men. What scares you in being criticized! If any opposition figure says something that’s not true then send your officials to the media to falsify it and clarify your position by presenting factual evidence. What's the point of intimidating South Sudanese citizens? South Sudan is not a prison but you are making it one! 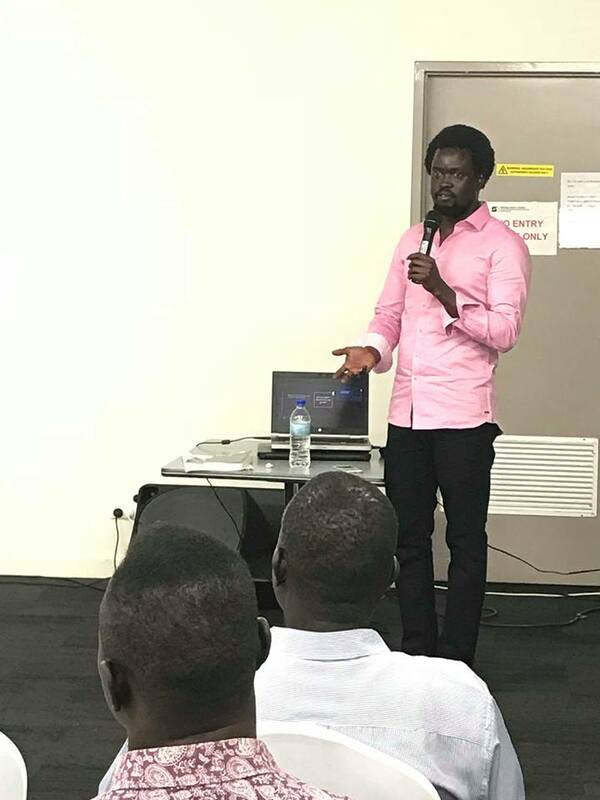 I warned Dr. Lam Akol a few years ago about the undemocratic nature of SPLM and your government, and he condescendingly responded by questioning why I said democracy hasn’t yet come to South Sudan. He can now understand the value of my words as he languishes under house arrest, which is a function of your needless fear, obsession and incompetence. Doing a good job is the best response against critics. Bring peace to South Sudan and initiate development programs and you'll see that critics will have less or nothing to say in criticism. Besides, stop making South Sudan a Jieeng kingdom and stop speaking in Jieeng in public like you did recently during Independence Day commemoration. 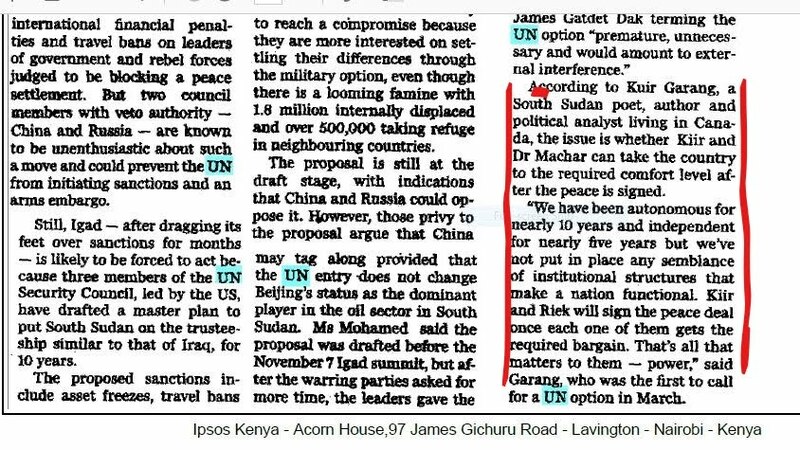 I know some of your officials and supporters will run around saying: "But Riek Machar is doing that too!" Riek is not the president of South Sudan! 1- Most if not all state police commissioners are Jieeng. 2 - Most of the ambassadors are also Jieeng. 3- The people whose decisions matter to you are also Jieeng. 4 - The government delegation is headed by Nhial Deng, a Jieeng and the delegation is under the tutelage, control and influence of Makuei Lueth, another Jieeng. 1 - Start accepting criticism as part of your governance system so don’t arrest politicians who disagree with you. You are not building a nation of single opinion where you lead an army of ‘opinionless’ robots. 2 - See those who criticize you not as against the country but those who’d want to hold you accountable in order to improve your service provision. 3 - Those criminally liable should be tried in a competent court of law not just arrested anyhow at whim! 4 - Stop removing elected officials without constitutional provision that supports such removals. That makes you a dictator regardless of what you say. 5 - Democracy doesn’t only apply to presidency but to all elected officials. I understand we shouldn’t allow ourselves to be controlled by outsiders like America and Europe, but we shouldn’t destroy the livelihood of our people just because we want to resist external influence. You are not strong enough and that’s why you recruited the assistance of Museveni’s UPDF so don’t think you have a chance against an international force that has been in existence for more than three centuries.